Music plays an important part of Oktoberfest Celebrations around the World. 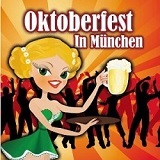 Our Oktoberfest Music web site is an online resource of information for all things relating to Oktoberfest Music and German Beer Drinking songs that are performed during Oktoberfest by bands, musicians and singers who perform Oktoberfest Music. Special Attention to all bands, musicians and singers who perform Oktoberfest music, including all organizations who are holding Oktoberfest Celebrations - Be sure to contact us and we will be happy to promote your Oktobefest Music and Oktoberfest Celebration right here on our Oktoberfest Music web site. Almost every person on the face of the earth is familiar with Oktoberfest. No, there is no spelling mistakes there, it's all correct. Oktoberfest is a two week long festival which is held in Munich the capital city of Bavaria, Germany with many other Oktoberfest Festival celebrations being held at other locations around the World as well. Millions of people, both local and foreign, organize and participate is this fortnight long madness that is full of beer, beer and more beer! So, for all the German beer lovers out there, this is the place to be! These 17 to 18 days of bliss originated in the 1810�s as a celebration of the marriage between Crown Prince Ludwig to Princess Therese of Saxe-Hildburghausen. Ever since then, it has become a national festival that marks the celebration of agriculture, beer and music. Oktoberfest is the largest fair in the world and millions of people from all over the World come to Munich and camp out. Each camp has its own set of music, performers and singers. At the end of the festival one song is chosen as the Oktoberfest song. More often than not, it tends to be a popular dance track currently rocking the charts but there are certain classic Oktoberfest songs that will always be favorites and that always keep coming back year after year, no matter how old they are. 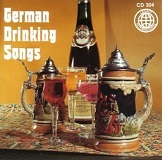 One of the songs that you will hear the most will be Ein Prosit. During Oktoberfest you will hear this song every 15 minutes, guaranteed. This is as traditional as it gets. This Bavarian classic is probably the very essence of Oktoberfest. What happens is that as the band starts to play the song, the whole crowd raises their beer steins and starts singing along. It�s truly amazing, and at the end, everyone finishes with a Prost or Zum Wohl as a toast. The sight is truly phenomenal! Another classic hit of Oktoberfest would have to be the 1980�s song sung by the Austrian band Zillertauer Schurzenjager. For those of you who are having trouble saying it, it roughly translates to Heartbreaker from Zillertau. One can imagine that while enjoying your brew with friends and strangers together, there is nothing more Oktoberfesty than a heartbreak song. The band Zillertauer Schurzenjager and their music is a classic mix of folk, rock and pop, making them fall under the genre of Alpen Rock. Speaking of heartbreak songs, one can never forget the angry breakup song Wahnsinn (holle, holle, holle) another classic traditional hit of Oktoberfest sung by Wolfgang Petry. Another prime example can be the song Anita by the classic Schlager Costa Cordalis. During this song the name Anita is sung by the audience. The echoing of every song will seem like a must. Everyone knows the lyrics by heart and always sings along which is an integral part of the music performed during Oktoberfest. Some other famous Oktoberfest songs include Furstenfeld by the Austrian band STS and Bayern Des Samma Mia by Haindling. Ich war Noch Neimals in New York is another great classic song by Udo Jurgens. The previous examples are some of the more famous classic and traditional songs that are played during Oktoberfest and are known to all Germans. Oktoberfest is one of the most enjoyable experiences in the World, and anyone, regardless of where they come from will enjoy the Oktoberfest Festivities and have a lot of fun!